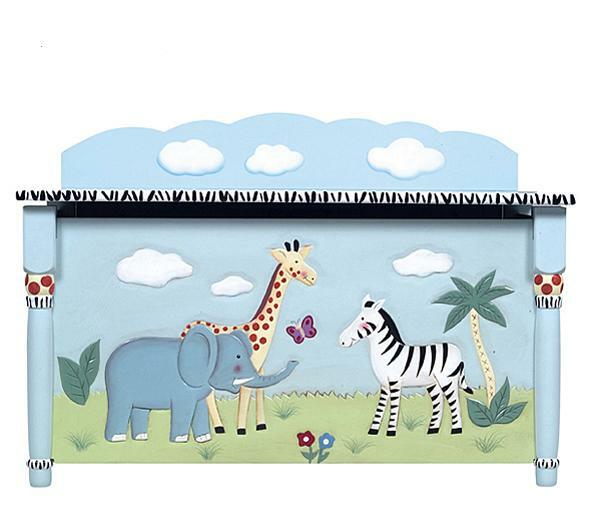 Hand painted and hand carved, this beautiful toy chest will make a perfect gift for kids. Cleaning-up will no longer be a chore but rather another game for your kids. The safari Toy box features a spacious interior, two safety-lid supports and a finger-hole cut out to prevent pinching. Clean up is easy with a damp cloth.